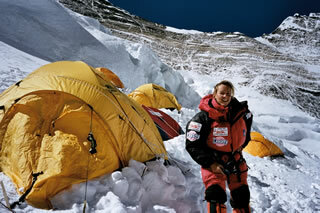 They will choose the way they rescue you (via ski patrol, helicopter etc) and to where (Medical Centre / Hospital etc). 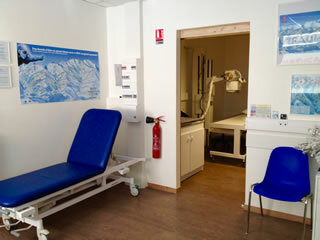 There are 4 medical centres in Courchevel (two in 1850, one in 1650 and one in La Tania). If you have insurance cover, the ambulance may be able to drive you to the medical centre of your choice. Remember that patient care, safety and resources are always prioritised to provide the best service to everyone. 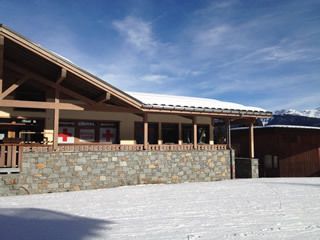 The La Tania Medical Centre (also know as Courchevel Medical Centre on social media etc) will be open all year round (via appointment in inter-season). 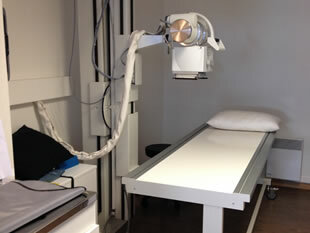 Dr Aude Joncquiert-Latarjet is assisted by Dr Arthur Andre and they both speak English. Dr Joncquiert-Latarjet and her team are actively working on providing a full range of medical services to better answer and support locals and tourists needs and questions. Dr Aude now has the European Paediatric Life Support certification and this year she's currently training in Gynecology. From an administrative standpoint, Jacqy works as the Doctors' assistant and manages the reception of patients. Jacqy speaks French, English, Dutch and German. An extra person will also be engaged soon for the winter season to support the patient reception. 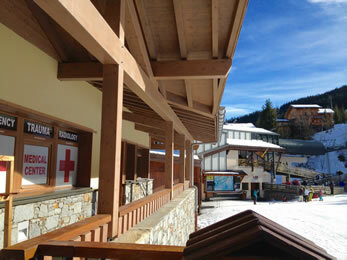 * Situated next to the Crèche just along from the La Tania Gondola Station. * During Winter open every day from 09:00 to 18:00. * Jacqueline, multi-lingual (Dutch, English, German, French) is now a full time assistant. * Elodie, a professional Fire Woman works in the Medical Centre 2 days a week. * Joining Doctor Aude Joncquiert Latarjet for the 2018 Winter season is Doctor Arthur Andre, English speaking, understanding and very professional – his passions are both skiing and mountain medicine. Specialized in multiple-trauma, alpine & high altitude medicine with more than 16 years of experience in Public Hospital and Private Clinics in the Alps. 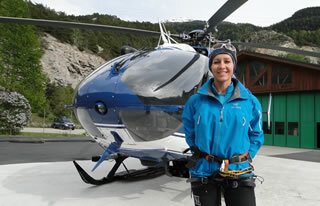 Four years of experience in the Savoie Mountain Heli-Rescue and speaks excellent English too. 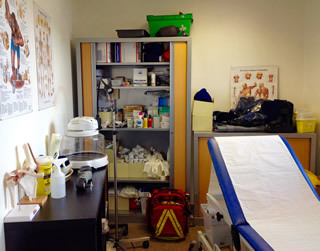 Recently had a new professional opportunity to work as an emergency practitioner for the private hospital of MEDIPOLE DE SAVOIE, the reference centre of the district for breast cancer, orthopaedic and visceral surgery. Works every summer for the Emergency Rescue Service in the south-west of France. Followed clinical training in gynaecology and is able to do a smear test. Had the honour to be one of the Héli-Doctors of the Alpine Skiing World Championship in Courchevel on 19/20 December 2017. In the morning a telephone operator will take appointments by telephone. A secretary or a nurse will take charge in the afternoon. All emergencies will be accepted but we will try to see patients with an appointment as soon as possible. 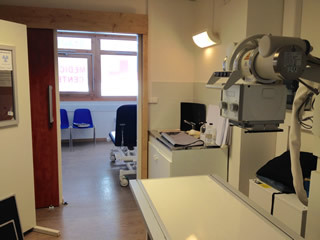 Fully equipped with X-Ray equipment, stitching equipment as well as oxygen, nitrogen protoxyde, ventilation appliances and drip apparatus. 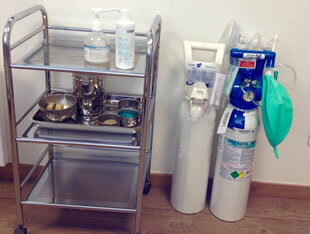 Plaster cast and thermo-orthésis can be performed on site. 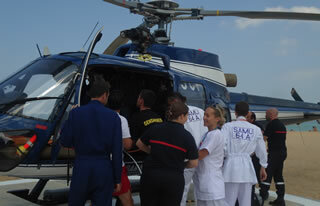 Assistance can be given in case there is a need of transfer and repatriation through your private insurance. 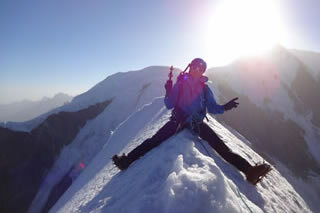 Doctor Joncquiert-Latarjet is an experienced climber and mountaineer - the top right is a picture at 7400m on Lhotse, the fourth highest mountain in the World at 8516m and part of the Everest massif. 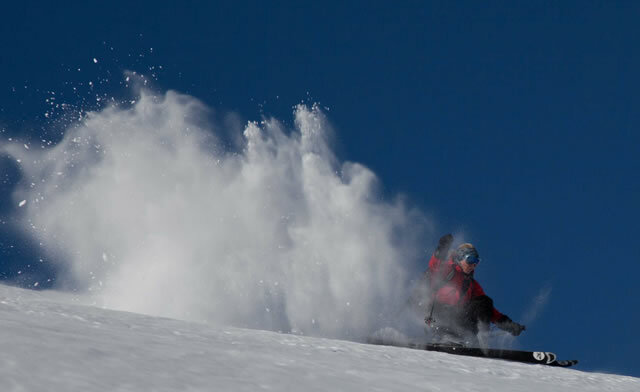 Looks like our doctor rips on skis too - we hope to get her on a video snow report one-day!